What would happen if Deepika, Ranveer along with Abhishek and Aishwarya were to take over the dance floor? 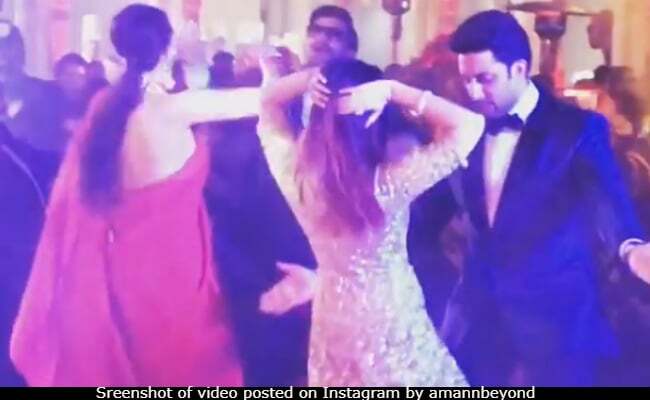 We bet you've never seen Aishwarya Rai and Abhichek Bachchan dance together like the way they did at Isha Ambani and Anand Piramal's pre-wedding bash in Udaipur on Sunday. 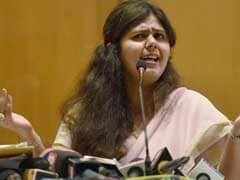 The pre-wedding party of Isha Ambani witnessed a bevy of Bollywood stars letting their hair down to the best of Bollywood party playlist, including newlyweds Ranveer Singh and Deepika Padukone burning down the dance floor. Now, what would happen if Deepika, Ranveer along with Abhishek and Aishwarya were to take over the dance floor while Gallan Goodiyan played on. Inside videos from Sunday's party have been shared on the Instagram profile of DJ Amann Nagpal, who was at the console, playing out chart-busting tracks. We also got a glimpse of Anil Kapoor dancing with the couples to Gallan Goodiyan, which is a song from his film Dil Dhadakne Do, in which he co-starred with Ranveer Singh. Meanwhile, Ranveer Singh, who had also rapped at his own wedding party, sang Jumma Chumma on mic while Abhishek and Sidharth Malhotra danced like nobody's watching. At Deepika, Ranveer's Mumbai reception for Bollywood, the new bride had roped in Jaya Bachchan for a dance-off with Ranveer and Amitabh Bachchan. They picked Jumma Chumma for the fun-competition. If you think Deepika Padukone was any less, no she wasn't actually. This is what happened when the DJ played the Navratri special song Chogada at the party. Earlier, Abhishek and Aishwarya dazzled on the stage as they performed toGuru song Tere Bina for one of Isha Ambani's pre-wedding functions. Star performers at the Ambanis' pre-wedding festivities also included Shah Rukh and Gauri Khan. Pop queen Beyonce was the star of Sunday's show.